Announced just two days ago, the Samyang AF 85mm f/1.4 FE lens is already on display at The Photography Show, 2019, at the Birmingham NEC. 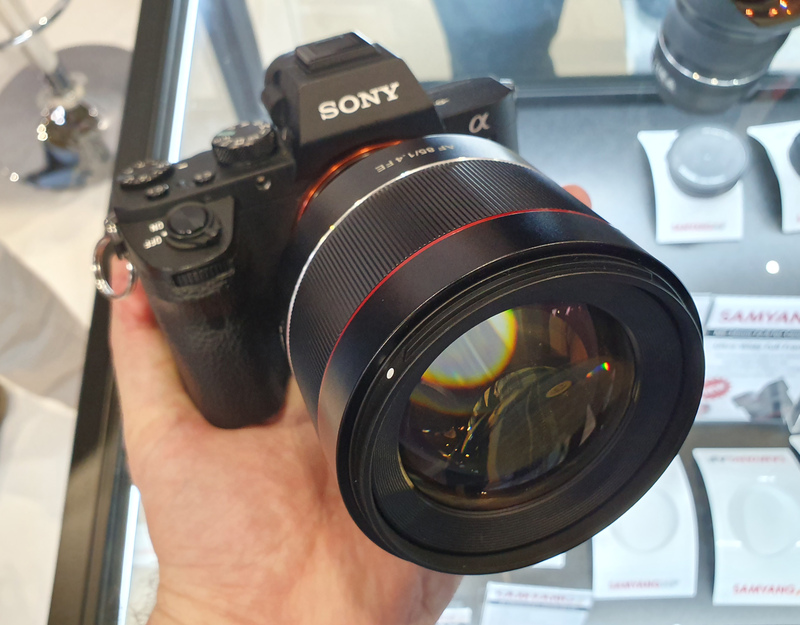 We had a hands-on look at this new lens, which you can see below. The lens is due to be available in Spring, with an expected RRP of £599 (TBC). The lens features 9 aperture blades, and a close focus distance of 90cm. The full-frame E-mount lens features a large focus ring, so that you can fine tune focus if you wanted to. 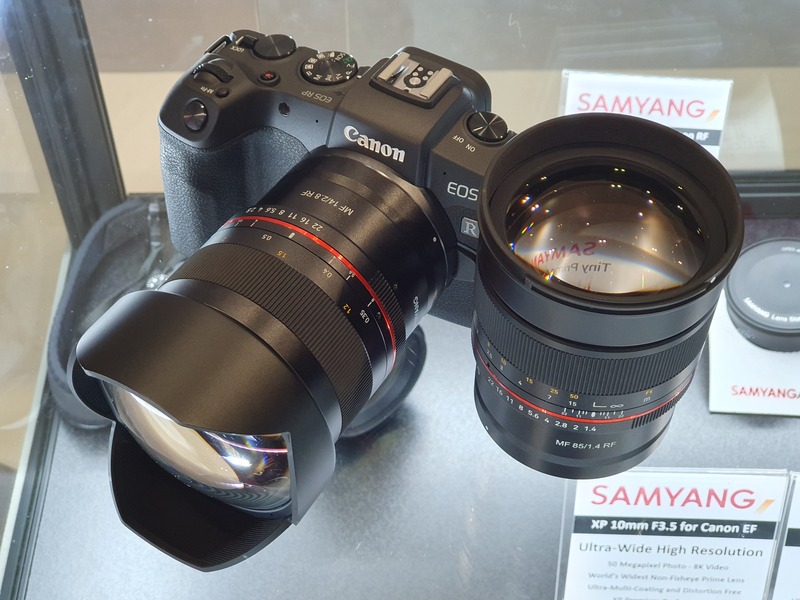 Also on display are two new manual focus RF lenses for the full-frame Canon EOS R system, which includes the Canon EOS R, and Canon EOS RP. The Samyang MF 85mm f/1.4 RF, and Samyang MF 14mm f/2.8 RF. The MF 14mm f/2.8 RF lens features a rear filter holder. The MF 14mm f/2.8 RF and MF 85mm f/1.4 RF are both manual focus lenses, with a very competitive price, particularly if you're looking for a lens for the Canon EOS R system. The MF 14mm f/2.8 RF has an expected RRP of around £360, and the MF 85mm f/1.4 RF has an expected RRP of £319. We also had another look at the Samyang XP 10mm f/3.5 ultra-wide-angle lens, first seen at Photokina 2018, which has an RRP of £949.